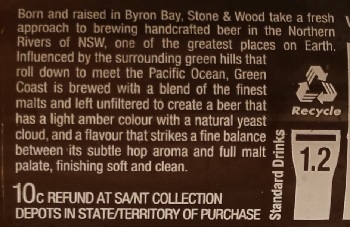 Brewer Description: (from bottle) Born and raised in Byron Bay, Stone & Wood take a fresh approach to brewing handcrafted beer in the Northern Rivers of NSW, one of the greatest places on earth. 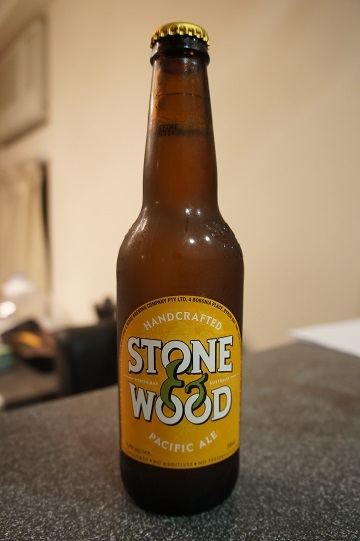 Inspired by our home on the edge of the Pacific Ocean and brewed using all Australian barley, wheat and Galaxy hops, Pacific Ale is cloudy and golden with a big fruity aroma and a refreshing finish. 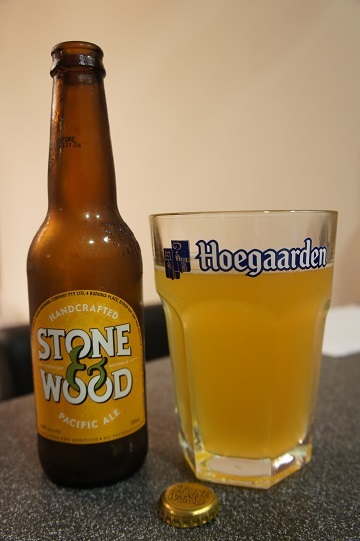 Intro: This 330ml bottle was dated best before 7 October 2015 and was poured into a Hoegaarden pint glass. Appearance: The beer poured a hazy pale yellow with a one finger big bubble head that disappears fairly quickly. Aroma: Excellent aromas! Very tropical fruit forward especially mango, pineapple, orange, peach and apricot. Taste: Like the nose, the taste is of tropical fruits. Mainly mango and peach with a slight bitter lemon finish. Mouthfeel: Light bodied, crisp, medium carbonation, refreshing. 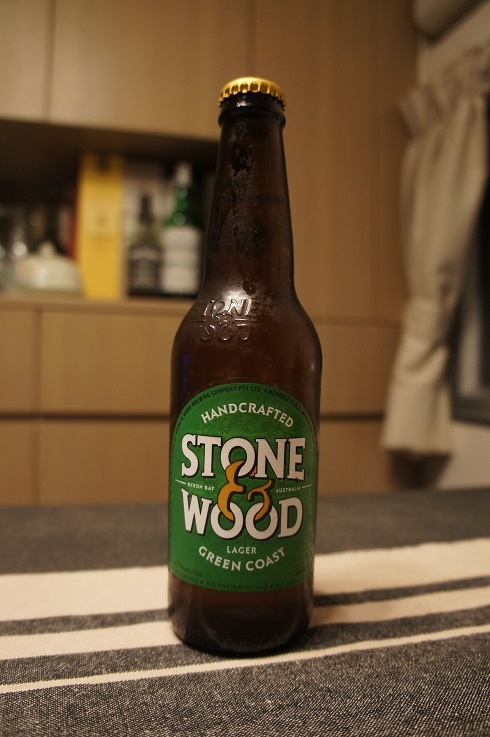 Overall: This was a good beer, very easy to drink and great for a hot summers day. 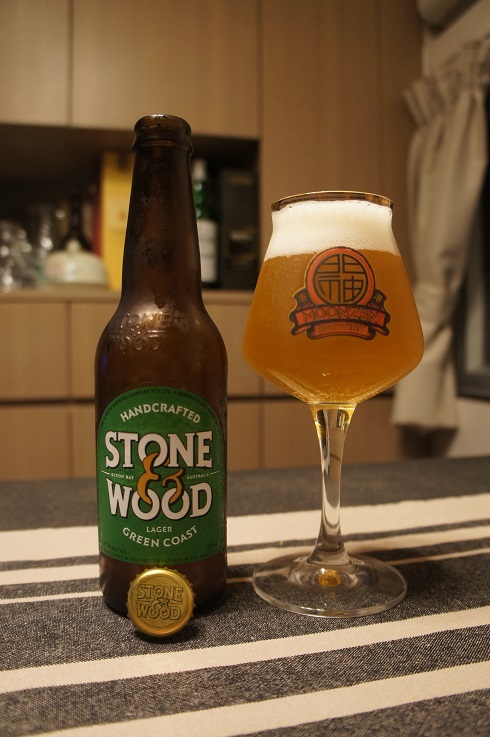 The one thing stopping me from giving it a must buy 5, is that I would have preferred a higher ABV maybe up to around 6 or 7%.